Join Me In The Pines' Dave Geraghty. 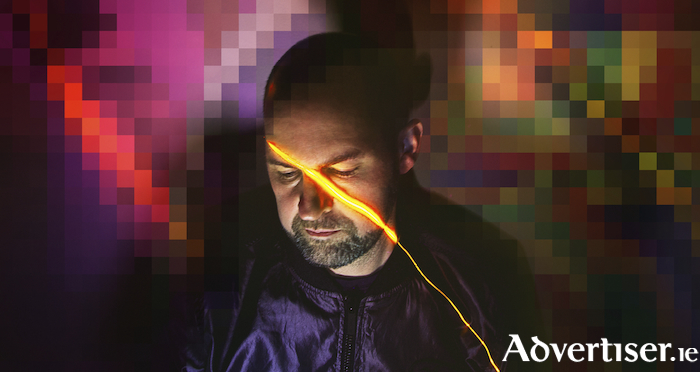 DAVID GERAGHTY is best known as a founder member of Bell X1, but he also has a solo alter-ego - Join Me In The Pines - through which he has recently been exploring a more electro-pop side to his talents. Join Me In The Pines returns to Galway to play the Róisín Dubh on Saturday November 24 at 8pm, as part of their current Irish tour. JMITP's have also released the single, the synth driven ‘Bad Blood’, via Decal Records, which features layered vocals and has a distinctly 1980s feel. The video was directed by Simon Daniels and produced by Design for Life. The band will again back David on this tour. A new album is forthcoming - David’s fourth solo release and second as Join Me in the Pines - with mixing duties by Ross Dowling (James Vincent McMorrow, Talos, Brian Deady ).